Peeking Gnome Pool Floater | Fountain City Art Ctr. This charming, hand-painted gnome peeks above the water to see what's going on. 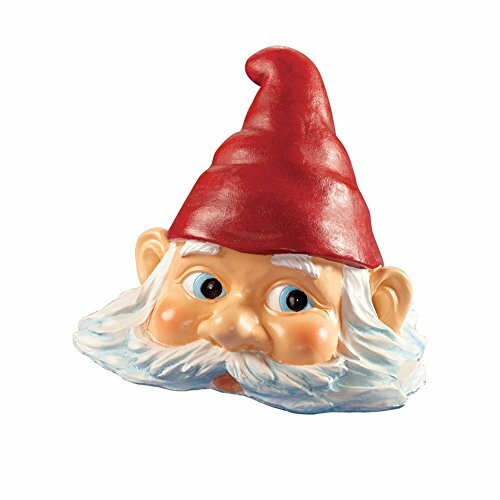 He wears a pointy red hat and sports a big white beard and is a fun and unique addition to your pool, pond or fountain. Polyurethane. 8"L x 6 1/2"W x 6 1/4"H.
This charming, hand-painted gnome peeks above the water to see what's going on. He wears a pointy red hat and sports a big white beard. A fun and unique addition to your pool, pond or fountain. Polyurethane. Measures: 8"L x 6 1/2"W x 6 1/4"H.